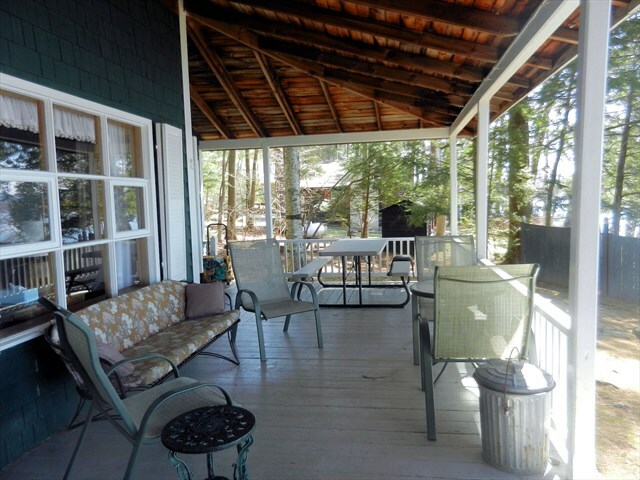 This 3 bedroom 1 bath lakehouse with so much history. 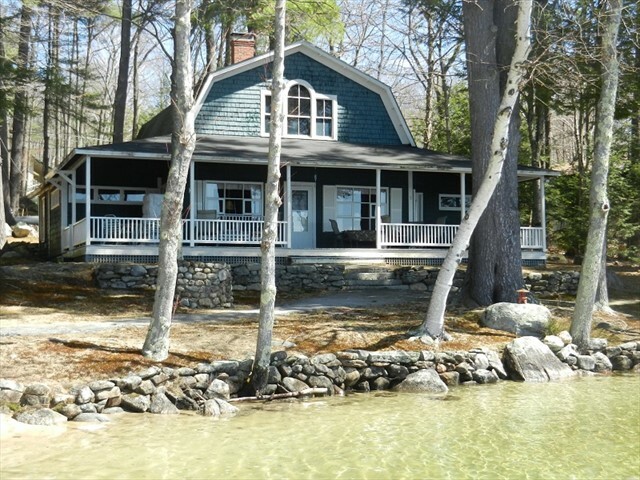 This cottage was built in 1904 by a doctor from Boston. 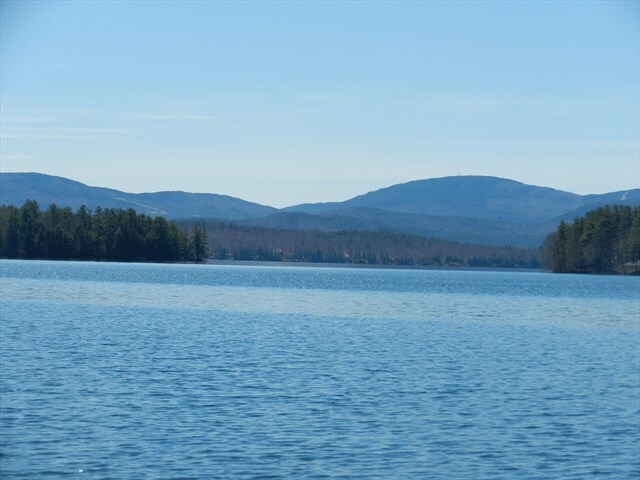 It has one of the best shorefronts on the Wolfeboro shoreline. 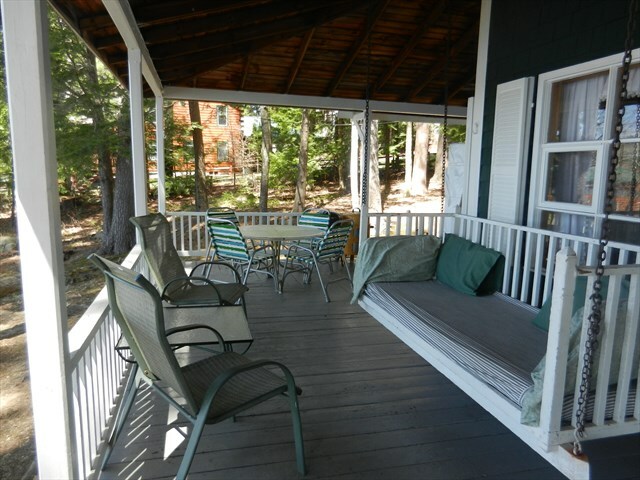 Enjoy the oversized porch for those warm summer evenings with an old- fashion swing for the afternoon nap, a picinic table for your favorite barbeque dinner. Enjoy the firepit evenings telling stories and roasting marshmellows. 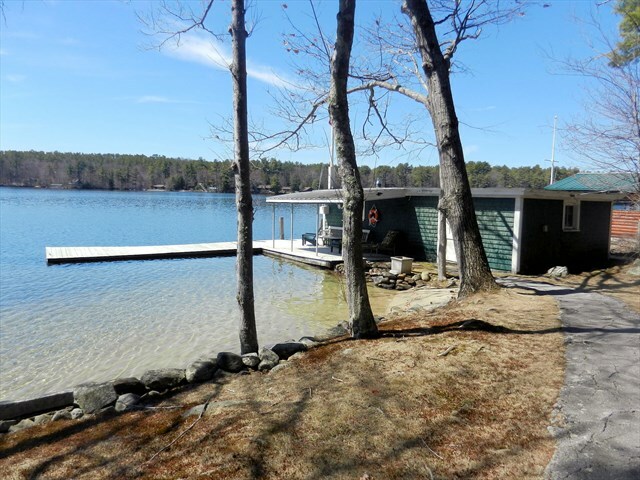 The dock is over deep water and can handle a good size boat. The boathouse stores the owner's boat. The owners have access on occasion to walk to the boathouse and take their boat out for the day. The side roof on the side of the boathouse is great for the grandparents or anyone that wants to stay out of the sun. 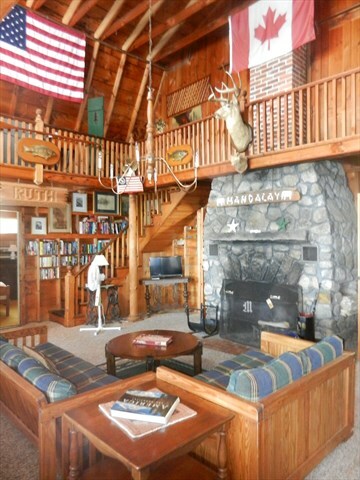 Living room has a large rock fireplace for those cool summer mornings. 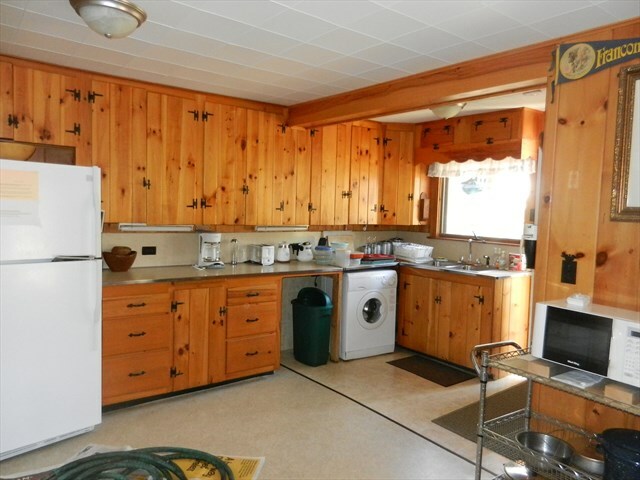 Fully equipped kitchen with microwave, stove frig, dishes, pots pans etc. One unique bathroom. You can access the bathroom off a door from the queen bedroom. 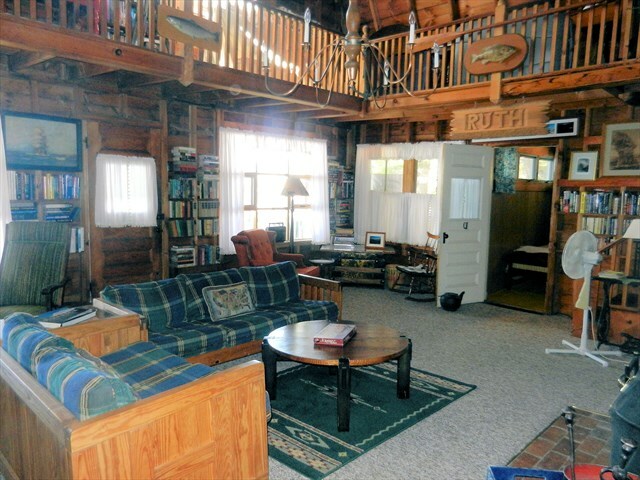 You can also access it through an additional door off the living room and the porch. It was innovative back in the day. 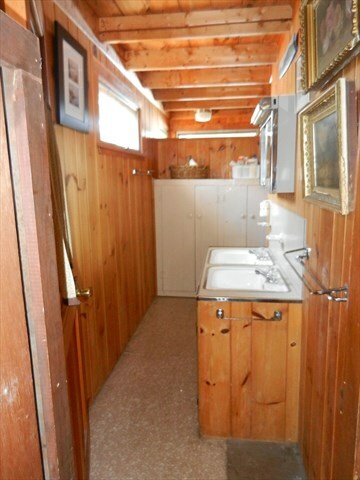 There are two sinks. There is a separate stall for the toilet. 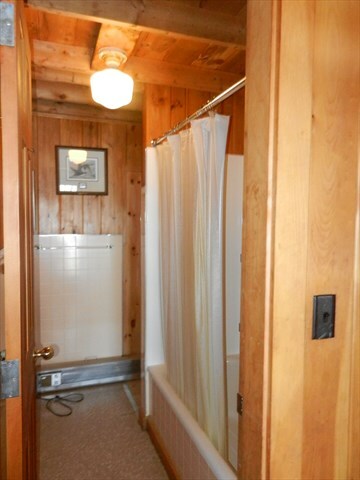 There is a separate room for the shower. If you are outside, you can access the bath off the porch. 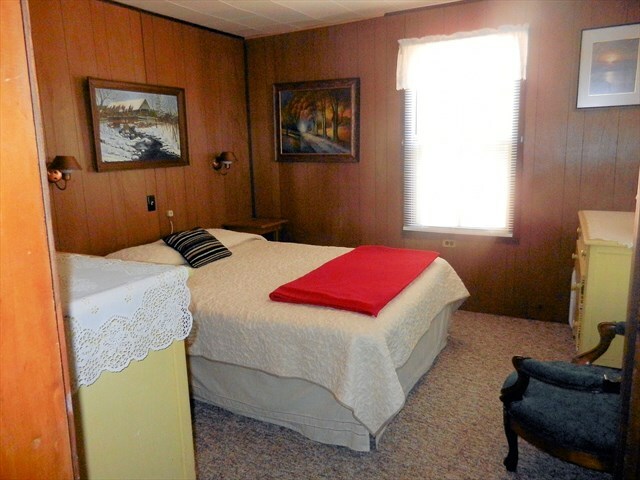 You can take a shower in the separate room and someone can be using the sinks. It's really cleaver. This house has a small flat screen TV with cable. It does not have WIFI. Cell phones have no trouble working with the cell tower in sight on the distance mountains. 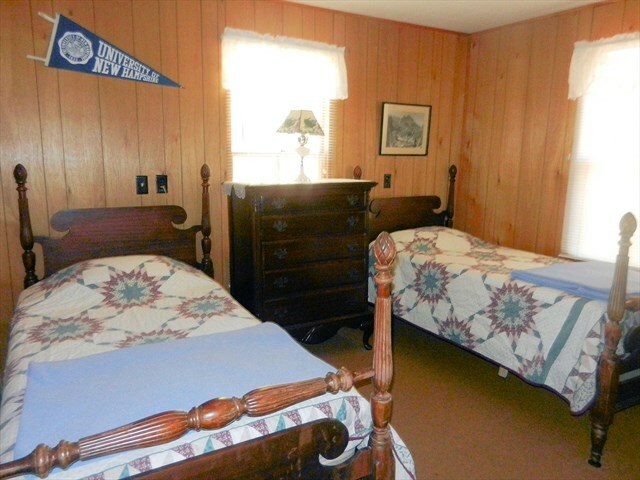 Sheets and towels are not supplied. Blankets and pillows are supplied. 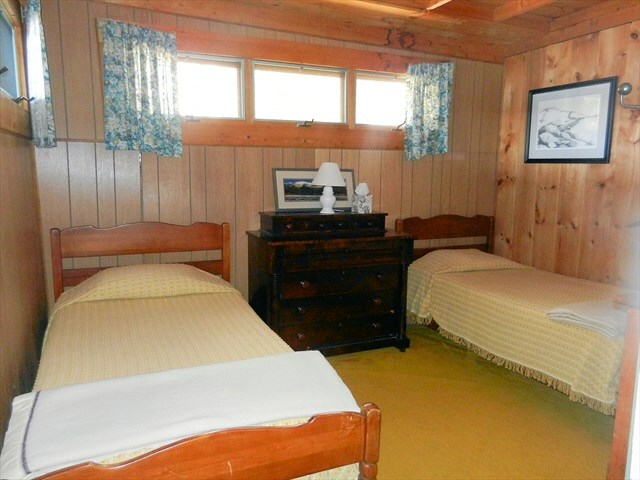 There is one bedroom with a queen bed and 2 bedrooms with 2 twins in each. 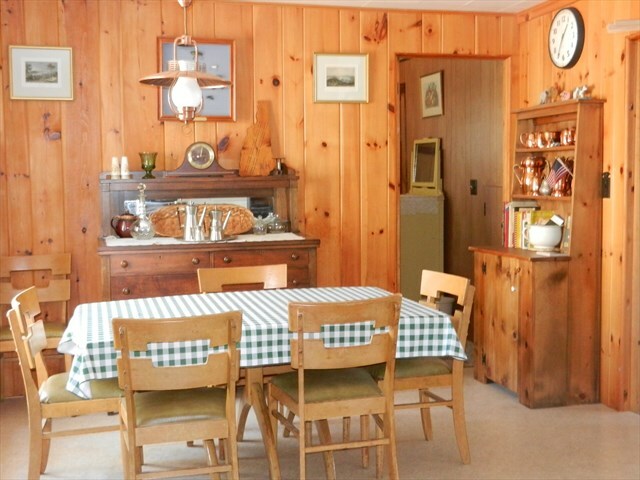 The house is 3 miles from the quaint downtown Wolfeboro. 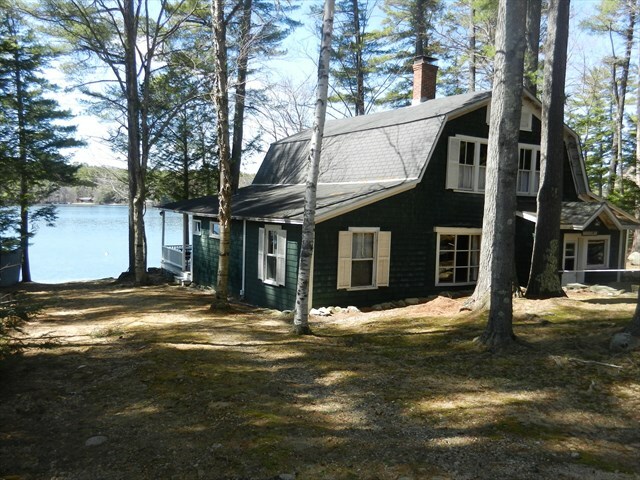 It is 1 hour 15 minutes to Manchester Airport, 45 minutes to the seacoast in Portsmouth, NH and 1 hour to the White Mountains. Come and enjoy. Call us with any questions.